Christensen has just announced the signing of two contracts for their Custom 50m series. The two yachts are currently known under their project names, Perfect Pursuit and Deputy Dog. Built in composite with a gross tonnage of 550 GRT, both yachts will have a similar layout with accommodation for 12 guests in a master, a VIP, two double and two twin cabins. 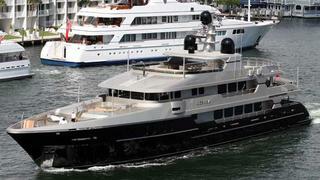 The yachts will be completely designed by the Christensen's in-house team. These projects will be powered by twin MTU 12V 4000 engines, giving them a top speed of 17.5 knots and a range of 4,000 nautical miles at 12 knots. Speaking to the shipyard, they also confirmed that construction has started on the first Ocean Alexander 120.